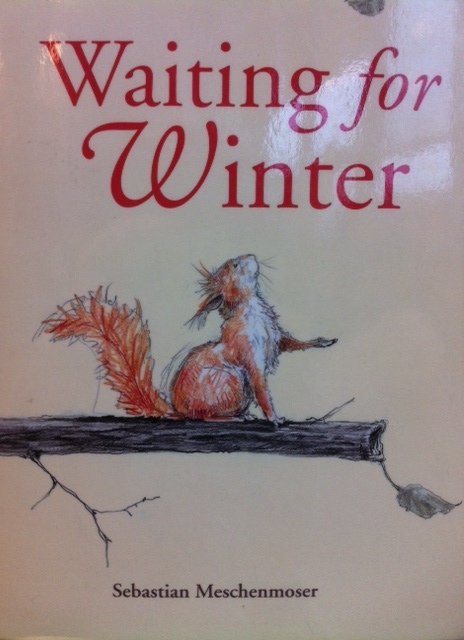 This week the children listened to Waiting for Winter by Sebastian Meschenmoser. 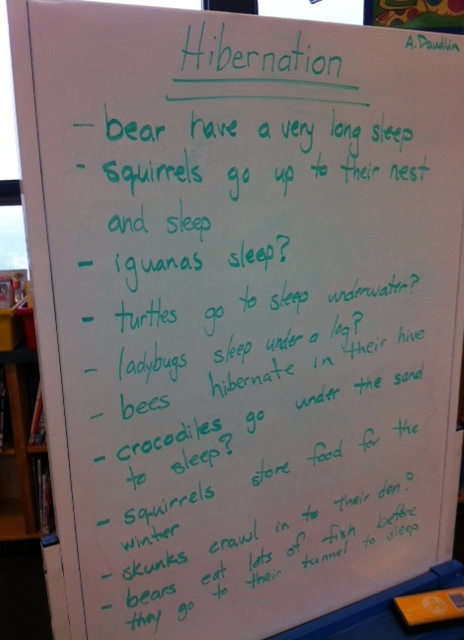 As part of their post-discussion, the children brainstormed various animals and the ways in which those animals hibernated. From their brainstormed ideas, you can see that the children have sorted their facts and identified several animals they still wonder about (those statements are marked with a question mark) that bear further investigation. -turtles go to sleep underwater ? -ladybugs sleep under a log ? -crocodiles go under the sand to sleep ? -skunks crawl in to their den ? This entry was posted in Book Nook, Library by thekinderteam. Bookmark the permalink.